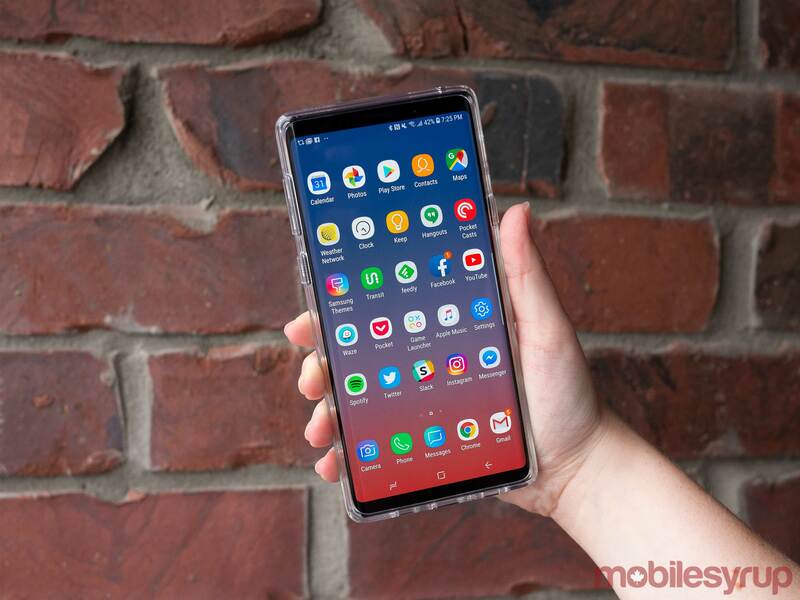 Samsung’s Galaxy Note 9 is an undeniably sleek looking smartphone that features a nearly all-glass body. This means that regardless of how careful you are with the expensive device, an accidental flick of the wrist could result in an unfortunate tumble. When a device hits tile, wood or, in the worst case scenario, an even rougher surface like pavement, you’ll be lucky if your smartphone escapes with only a scratch. More often than not though, and this issue seems to have slowly become worse as smartphone manufacturers increasingly opt for all-glass designs, displays easily crack, even from minor drops. While a case isn’t a fool proof method for preventing smartphone body and display cracks, it certainly improves your odds if an accident happens to go down — especially if you pair a case with a high-quality screen protector. 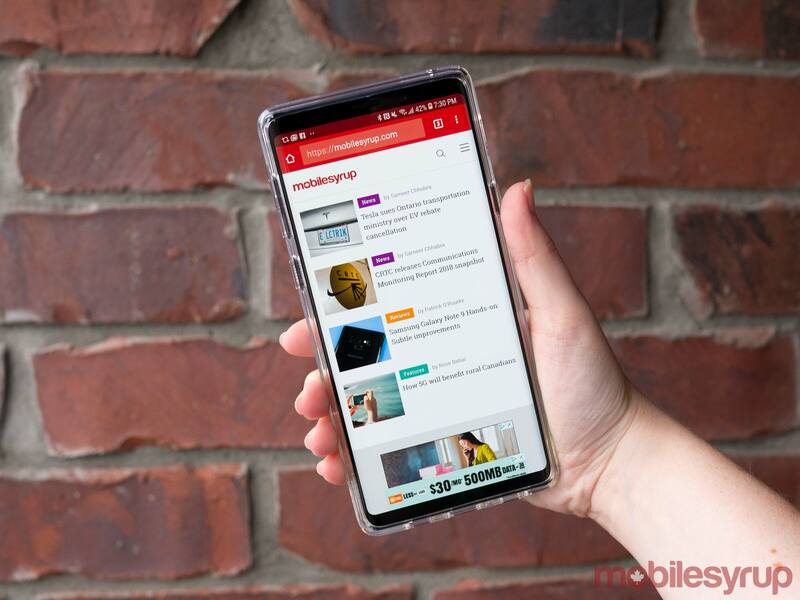 Because I tend to be pretty clumsy when it comes to my tech devices — specifically in this case a Note 9 review device provided to MobileSyrup by Samsung Canada — whenever I’m able to, I always pop my device into some sort of case. 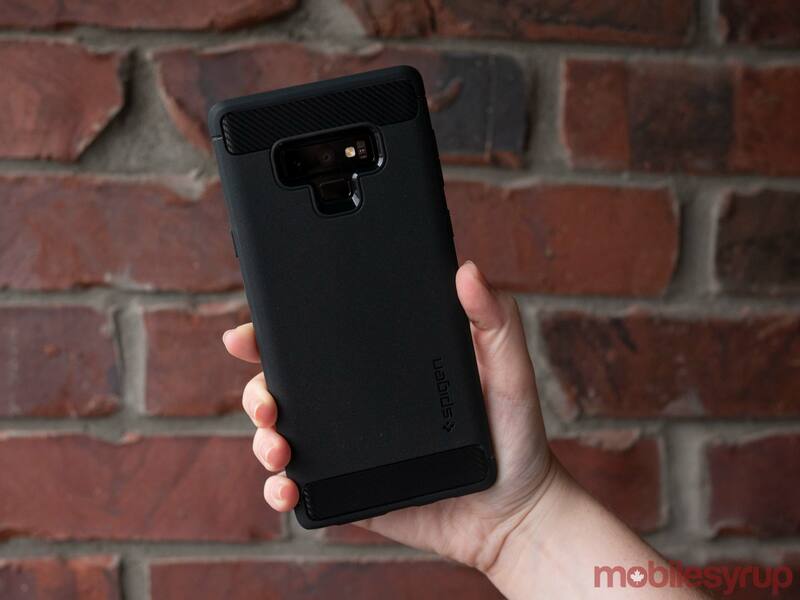 As Spigen often does, the reputable case manufacturer has revealed its line-up of cases for Samsung’s latest flagship smartphone. I’ve picked out a few of the accessory maker’s top cases and put together mini review for each one. Of course — and you’ll already know this if you’ve read my past stories about Spigen’s cases — the company’s thin fit offering remains my favourite, though I’ve kept it off this particular list. If you’re the type of person who wants all-around smartphone protection, but isn’t fond of big, bulky rugged cases, Spigen’s Tough Armor case could be the smartphone enclosure for you. The case provides ample protection with a durable two-layer design. The case features a built-in kickstand on its rear that easily flips out, which is useful for doodling with the S Pen or for watching videos. While the Slim Armor CS isn’t exactly the type of case that appeals to me, those who want to leave their wallet at home might find it useful. The Slim Armor CS is a wallet case with a sliding compartment in the back that’s able to store up to two cards and maybe even a little bit of cash. Of course, like all of Spigen’s cases, the Slim Armor CS also provides decent protection, with a dual-layer build that’s very similar to the accessory maker’s Tough Armor case. Spigen’s Rugged Armor Case is likely the accessory manufacturer’s best case when it comes to a balance between style and durability (even more so than the Thin Fit case). Further, the enclosure’s finish adds additional grip to the slippery Note 9, complete with sleek carbon fibre accents. Unlike Spigen’s other Armor series cases, the Rugged Armor features a lightweight single-layer design that easily slides into your pocket. Though I wasn’t always fond of Spigen’s Liquid Crystal cases, the series has slowly grown on me — especially when it comes to a smartphone that looks as great as the Galaxy Note 9. 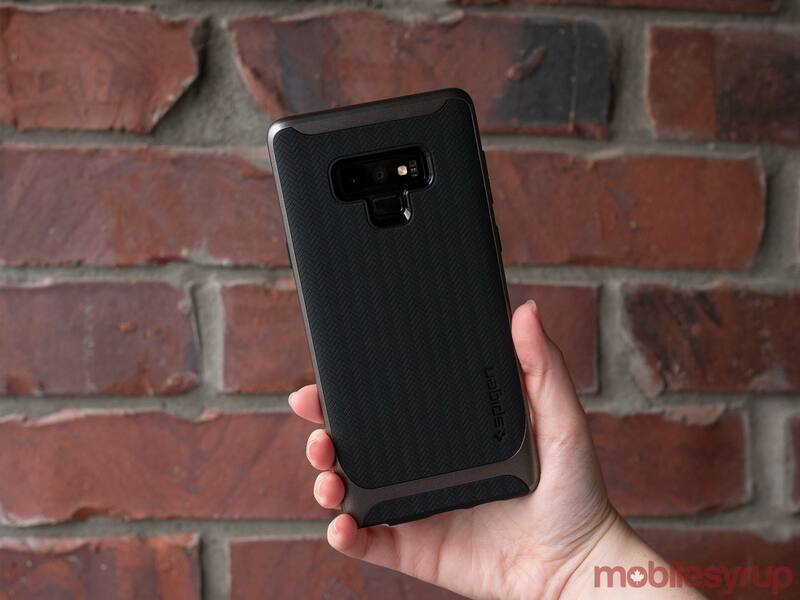 The case manages to preserve the look of the Note 9 thanks to its translucent build and resistance to unsightly fingerprints, while still providing decent protection. The case also features a slightly sticky coating that improves the case’s grip, which is great if you’re like me and happen to frequently accidentally drop your phone. 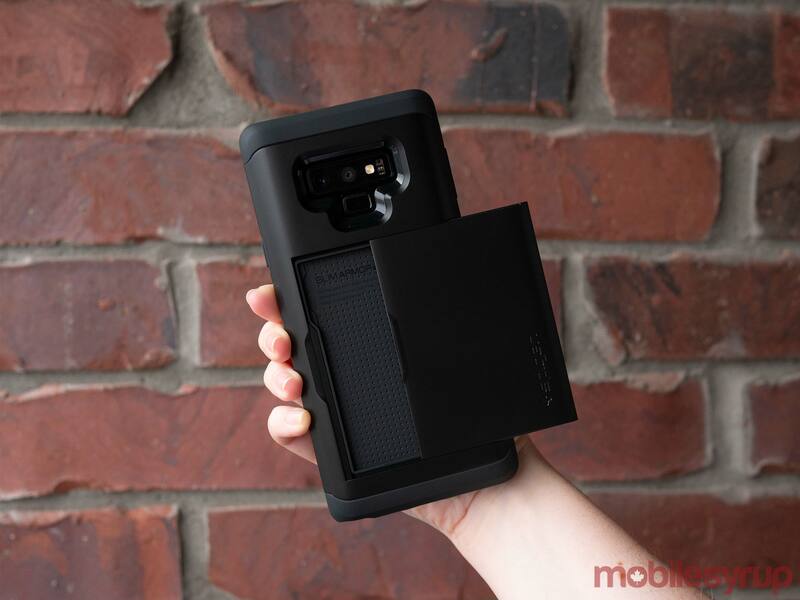 The case also features slightly raised edges and corners that prevent the Note 9’s ‘Infinity Display’ from getting scratched when the smartphone is placed face down. Spigen’s Liquid Air case is very similar to the company Liquid Crystal offering, as you may have already guessed, though it’s significantly less sticky and isn’t translucent. The case also features a geometric patterned rear that compliments the Note 9’s design, along with easy access to the smartphones S Pen. I’m a big fan of this particular design and have actually be using it on Samsung’s Note 9 for the last few days as it’s a nice balance between style, protection and thinness. Similar to the Liquid Air, Spigen’s Neo Hybrid is a versatile case that blends a stylish design with a modern look. 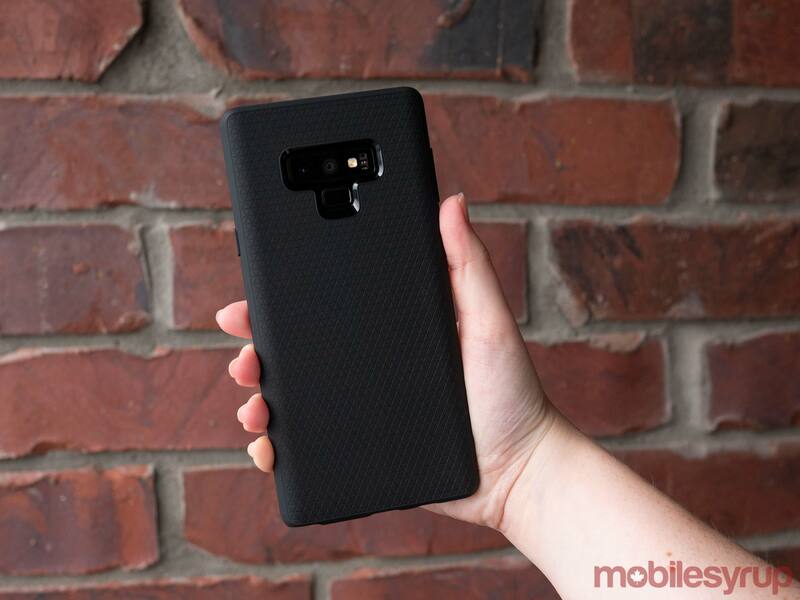 The Note 9’s Neo Hybrid features a herringbone pattern on its rear, along with a revamped bumper frame that adds enhanced protection to the case and sometimes more importantly, also keeps my greasy fingerprints off the smartphone case. Similar to the Tough series, the Neo Hybrid features dual-layer protection, including a durable bumper frame and a TPU body. This means that the case is a little bulkier than Spigen’s Thin series. If Spigen’s Liquid Crystal case is a little too sticky for your taste, but you’re still looking for a translucent smartphone enclosure, the Ultra Hybrid S could work for you. The solid case provides great protection, including clean cutouts for the Note 9’s S Pen and down firing speakers, while still sliding easily in and out of my pocket. 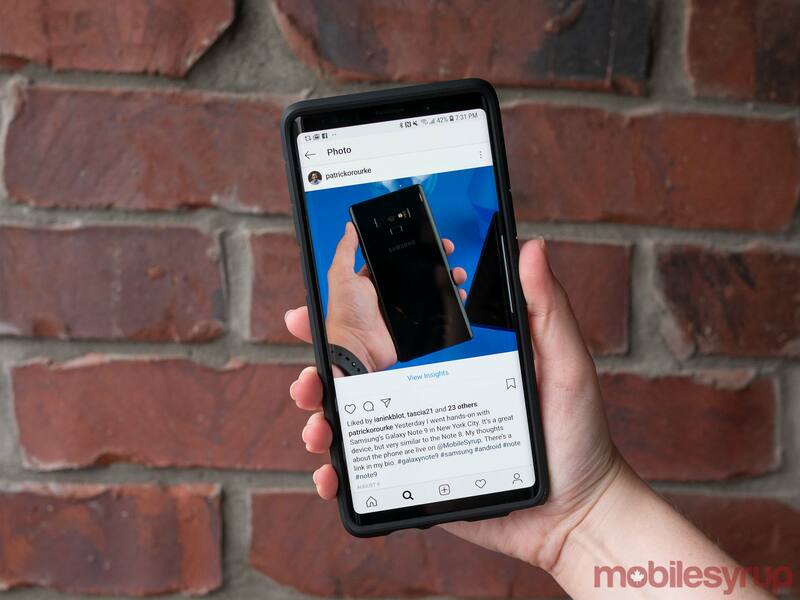 Winner announced in our Bell ‘Ocean Blue’ Samsung Galaxy Note 9 Contest!